NBC Sports is reporting that former Pittsburgh Penguin goalie Tomas Vokoun has turned down offers from at least two NHL teams. 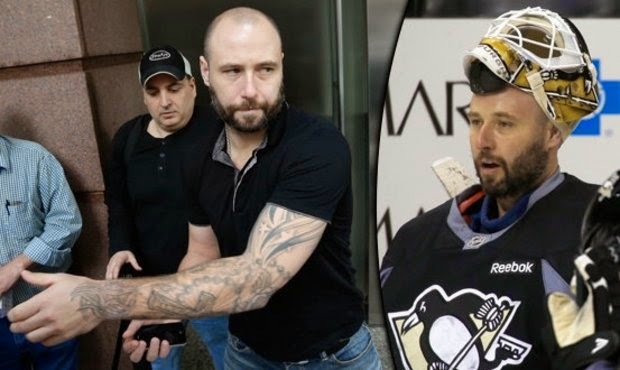 Last June, Vokoun made it clear that he was not done with hockey despite missing all but two games of the 2013-14 season to a blood clotting disorder. Allen Walsh, Vokoun's agent, said ,in part that that his client still wants to continue his career, but “only in the right situation.” Neither has elaborated as to what the right situation would be. Vokoun who is 38 yrs old has been plagued by the blood clotting disorder throughout his career. Before backing up Marc Andre Fleury in Pittsburgh, he previously played for the Washington Capitals, Florida Panthers, Nashville Predators and the Montreal Canadiens, with whom he was originally drafted. He has 300 career wins.